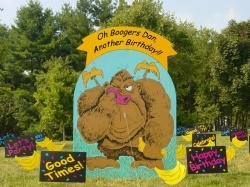 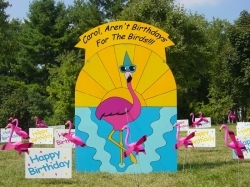 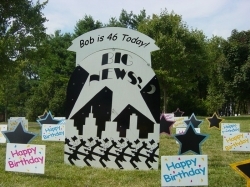 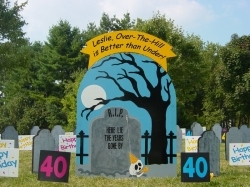 Our Yard Signs - "Birthday Adult"
Transforms the recipient´s front yard into a ´grave´ reminder of the ´passing´ of their youth. 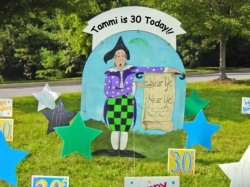 Announce that special day as if it´s a proclamation! 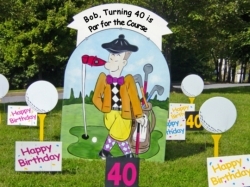 FORE!! 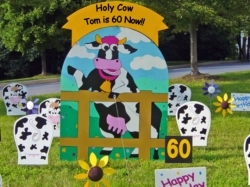 Heads up...Someone is slightly ´over par´!